An American Expat Working And Living In Korea. If you have spent any time using LINUX or even other Unix variants like Solaris, you are already painfully aware of the differences that exist in various shells, commands, and utilities. One of the more striking differences is that Apple continues to include BASH v.3.2.57 which is about 8 years old and does not support some very import features of v4 such as associative arrays and a myriad of additional types of command completion. For a full list of BASH 4 changes click HERE. (Replace HERE with this LINK https://www.admon.org/scripts/new-features-in-bash-4-0/). The reason that Apple does not include a newer version of BASH is that BASH4 is now under the GPL3 license, and does not conform to Apples copyright philosophy. However this does not stop you from installing it yourself. There are several ways to install BASH 4 on your Mac, including compiling from source if you are feeling masochistic. 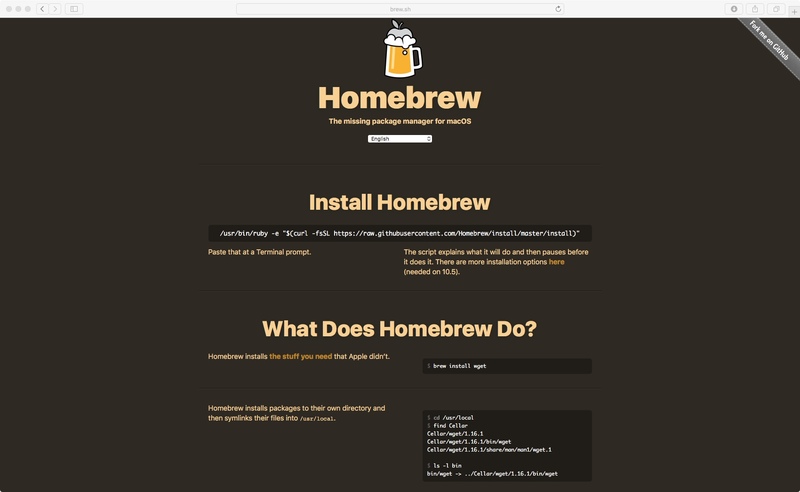 The method that I used, installing the Home Brew repository will be covered in this tutorial. Part I – Installing the Homebrew repository. If you use Linux, you are already familiar with a software repository, and package management software. Red Hat and CentOS uses yum and rpm, while Unbunto Linux uses apt-get or Synaptic. For us OS X users, the only software respository most of us are familiar with is the App store, which allows us to purchase, install software and manage their updates. 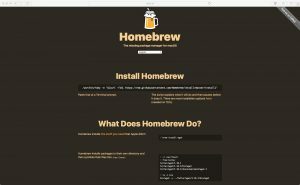 Homebrew is basically an App Store for software packages created, compiled, and maintained by the community and are free of charge. This is where we will be obtaining BASH version 4. We first though must install XCode Command Line Tools (CLT), and Homebrew. 2. Copy and paste the shell command on the home page into your terminal window at the shell prompt. This will automatically install XCode Command Like Tools, and the homebrew repository. 3. Once installed test by typing man brew in your terminal window. 2. We now need to add the new shell to the list of whitelisted shells, this is done in the /etc/shells file. NOTE: I chose to leave my login shell at BASH3, as BASH4 can be invoked in the shebang #! at the beginning of any BASH4 script. Here are some other personal tweaks I did for my BASH4 installation. I created a symbolic link for /bin/bash4 to /usr/local/bin/bash. That way I can execute BASH v4 scripts using #!/bin/bash4. I can change to BASH4 from any shell in this manner. I can re-execute the login script next by entering the following command. PART III – BASH Version checking in login scripts. I also added a BASH version checking routine to be placed in /etc/profile (Login script that is executed when opening a terminal window for ALL USERS). You may want to consider adding this to your profile script. 22 ## PUT ALL VERSION NEUTRAL BASH SCRIPTS BELOW THIS LINE! That is all there is to installing BASH4 in OSX. I hope you enjoyed the tutorial will keep returning to Brent’s world for more great articles!